Renegade's BS: Chinese Jiaozhou Bay Bridge No Record-Breaker! Chinese Jiaozhou Bay Bridge No Record-Breaker! 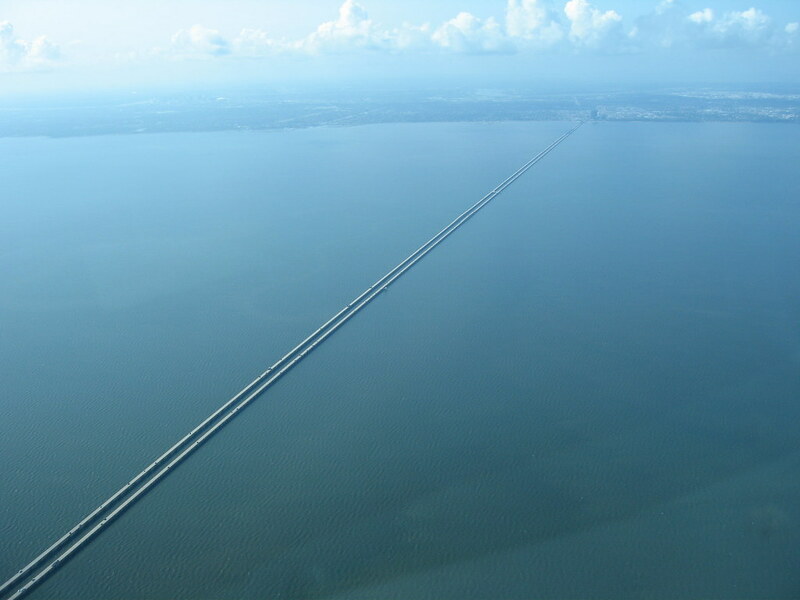 The man in charge of operations of the Lake Pontchartrain Causeway says the claim that a new bridge in China is now the "world's longest" is not accurate. Causeway General Manager Carlton Dufrechou says although Jiaozhou Bay Bridge in east China does have an overall length of 26 miles of roadway, it still does not surpass the Louisiana bridge in terms of distance covered. "It's actually a curved bridge," Dufrenchou said of the Chinese structure. "If you go from point-to-point distance, the bridge only spans about 16 miles, and the Causeway's closer to 24." Dufrenchou says Chinese officials are calculating the distance of their bridge using the cumulative roadbed length of the curved roadway, as well as including the distance covered by a spur that runs from the bridge in a perpendicular direction. "So, in our opinion, the Causeway is still the longest bridge over open water," Dufrenchou said. The bridge spanning Lake Pontchartrain will be 56 years old in August. Dufrenchou says the Causeway has an impressive safety record. "On an annual basis, there are 12,000,000 transits, and last year there were less than 150 accidents," he said. "So it's like one accident in every 70,000 transits...The Causeway is one of the safest bridges not only in the United States, but on the planet Earth." Check out the article at WWL. Guess there will be two world record categories now? Interesting controversy.